Launching in May this year, the move is part of a new billion-dollar effort to expand Apple's "services" division of streaming apps and subscription products as iPhone sales slow down. 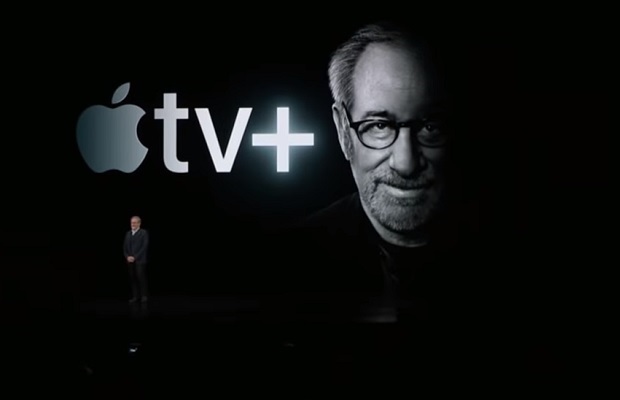 A host of Hollywood stars, including Oprah Winfrey, Jennifer Aniston and Steven Spielberg, joined Apple chief executive Tim Cook to announce the tech giant's new video streaming service. Speaking at the launch in California, Cook said Apple had partnered with "creative visionaries" for the new service, which saw Apple shares fall by almost 2% and Netflix shares rise as it was unveiled on Monday. - In 2019, 204.9 million people in the US will watch OTT video via a streaming app/service, such as YouTube, Netflix, or Amazon. - This year, 190.0 million people in the US will watch video via a connected smart TV or device, such as a Roku, Amazon Fire Stick, or Apple TV. - The number of Americans watching digital/streaming video via a smart TV will grow 9% to 103.7 million people this year. - In the US this year, 61.6 million people 14 and over will use a mobile payment app, up 12% over last year. That equates to 27.4% of smartphone users. - Apple Pay will have 24.0 million users this year in the US, up just over 9% from last year. That equates to 38.9% of mobile payment users, the second-highest penetration after the Starbucks app with 41.7%. - This year, 99.1 million US smartphone users will use a news app at least once a month, up 5.6% over last year. That equates to 43.2% of smartphone app users. - In 2019, 165.5 million US internet users will play an online video game at least once a month, up nearly 3% over last year. That equates to 58.3% of internet users and 50.1% of the US population. - The number of smartphone gamers in the US will grow 3.5% this year to reach 145.1 million people. That equates to 62.3% of smartphone users.